So... what do we actually do? 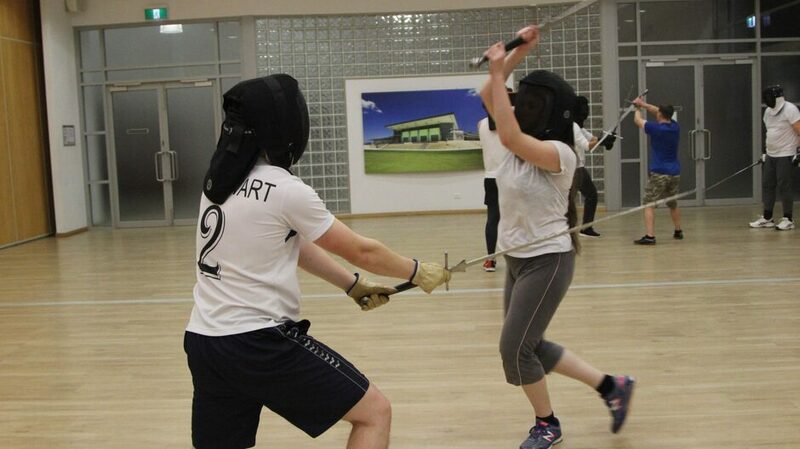 Historical European Martial Arts (or HEMA) is the practice of the martial arts of Europe from the 1300s to the 1900s, and is also commonly referred to as Historical Fencing. 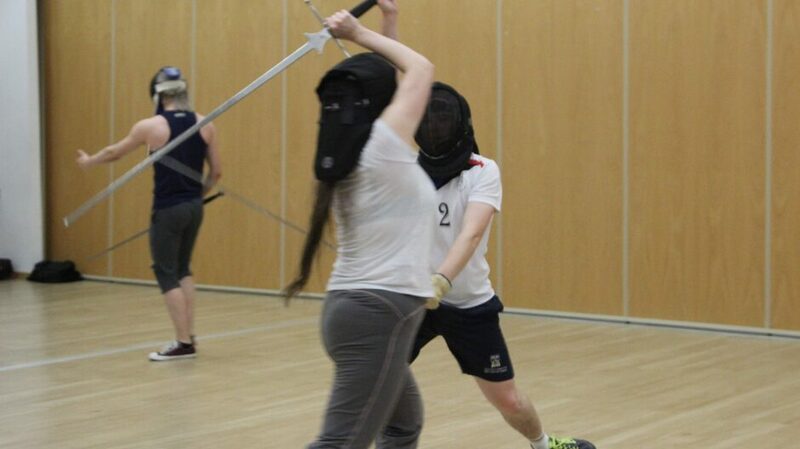 It's not LARPing, it's not Olympic fencing, it's not re-enactment or SCA - it's in a realm of its own with a more combative or martial focus than its counterparts. 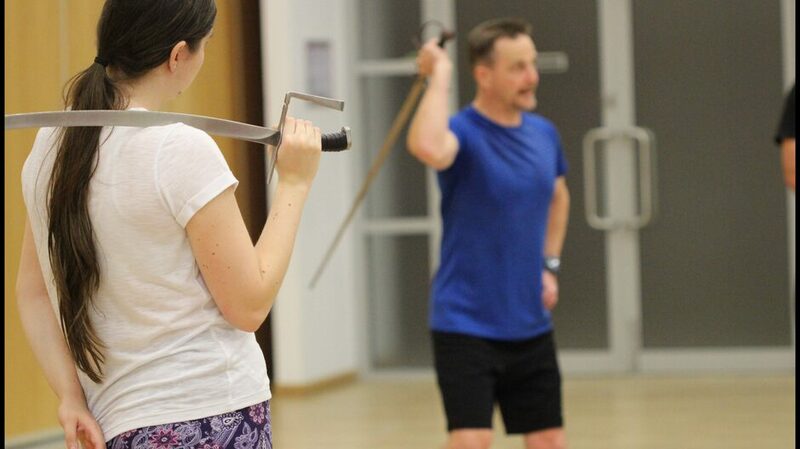 We train with real (although blunt) swords, with the goal of replicating the type of combat that would have been prevalent in battle and duels in medieval and renaissance Europe. 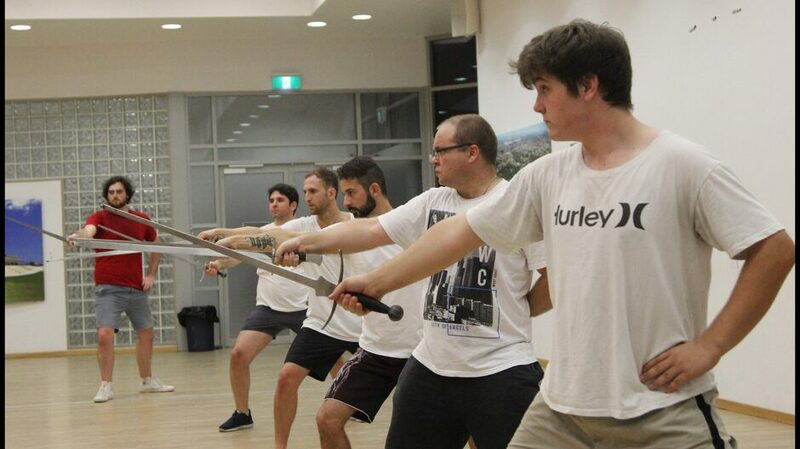 Training for members of House Darksun is conducted twice a week at 7a Kitchener St, North Beach. 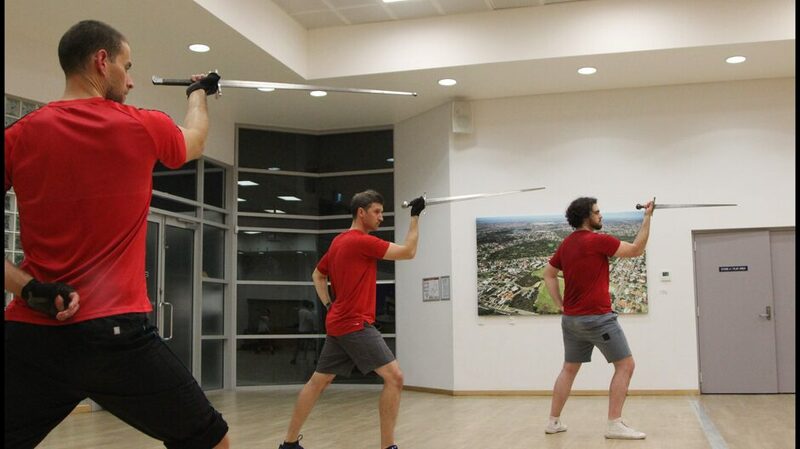 A typical lesson starts with a warm up & conditioning session, utilising exercises tailored to build attributes specific to swordplay. 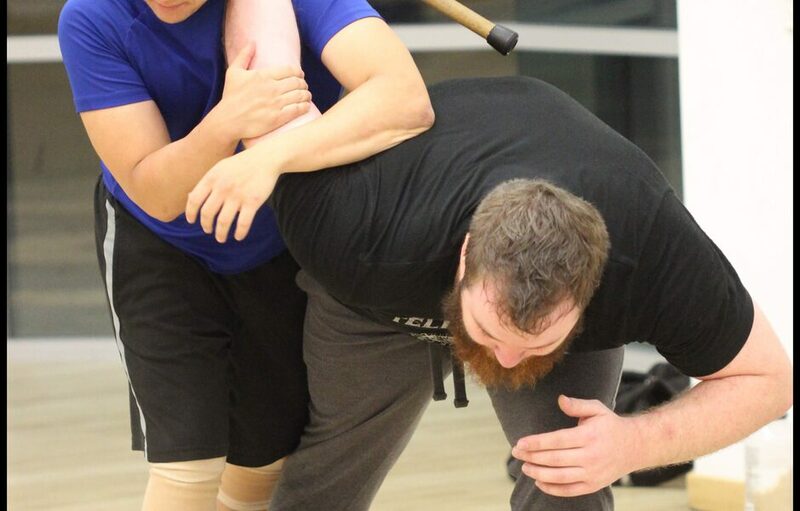 Following this we spend some time building foundational skills like footwork, distance maintenance, timing and mind-body connection, before moving on to technique drills focussed on a specific principle or set of principles. 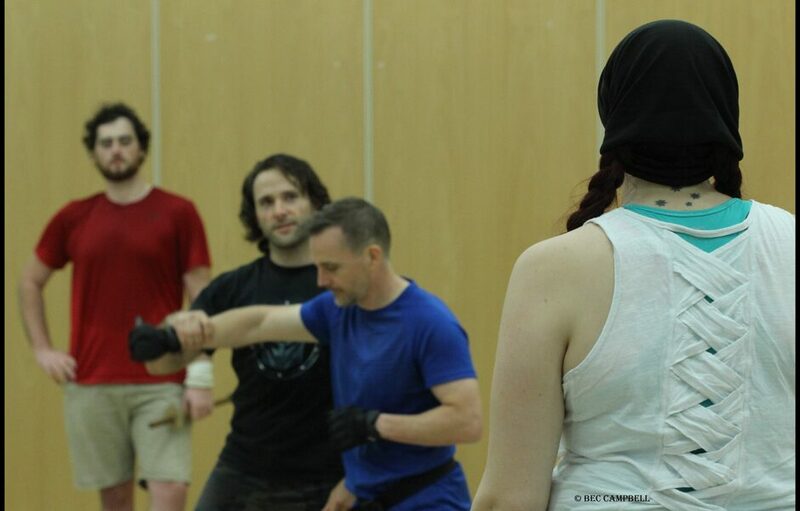 We then close out the session with an 'open floor', during which members are free to work on whatever they like, and take part in sparring to apply what they've learned. 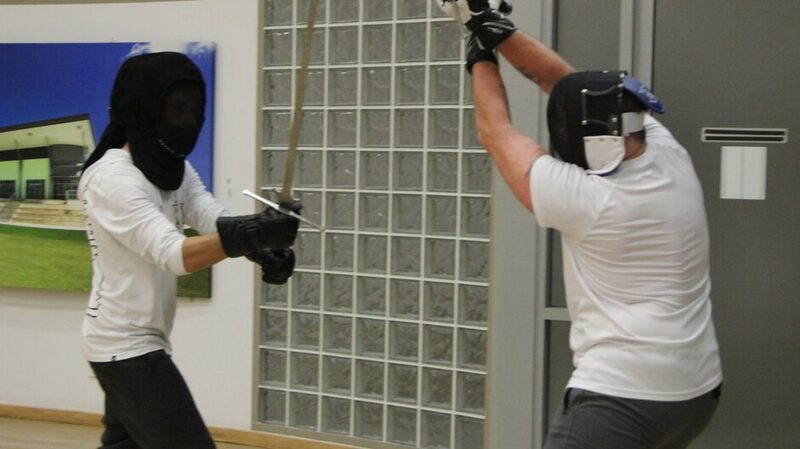 New students are encouraged to attend training to check out what we do and how we train. 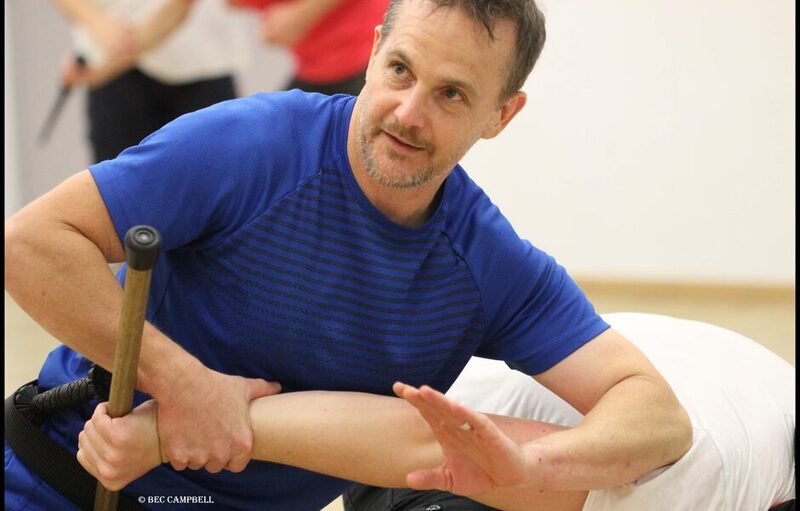 If you like what you see, sign up and start training under our head instructor - Jim Campbell. We train with a variety of weapon systems, not just those listed below. 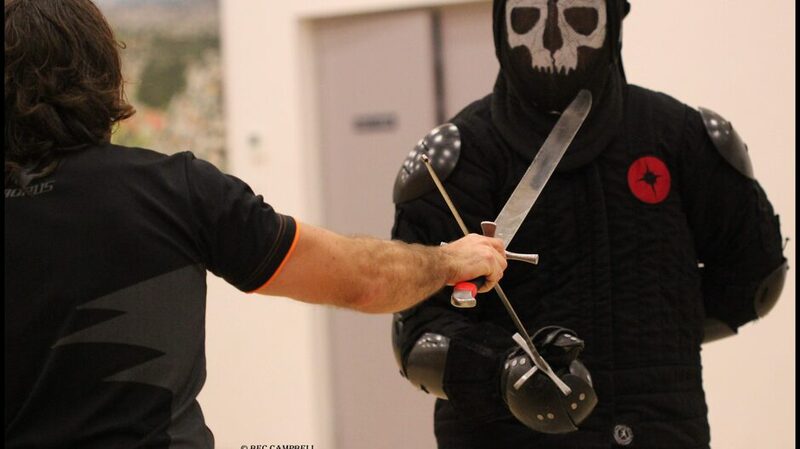 While some other clubs train with wooden or synthetic swords, we encourage all fighters to train with steel weapons from day 1. 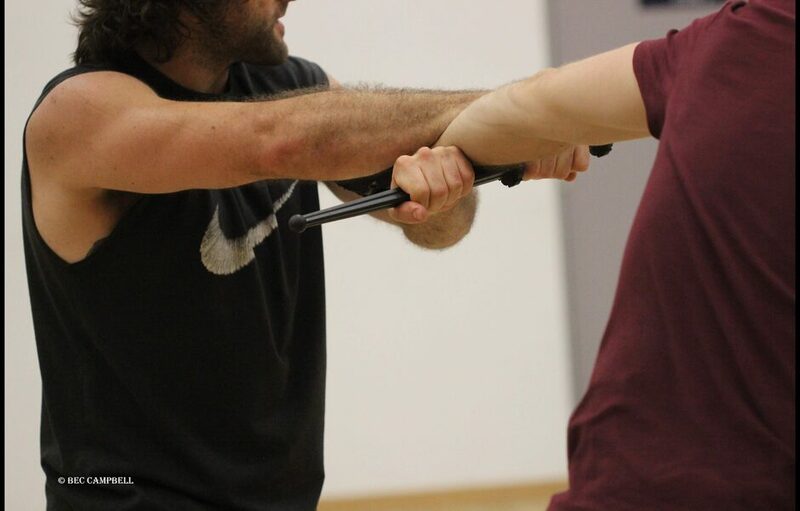 Not only do steel weapons look, feel and behave more like the 'real thing', they also help to foster a healthy respect for the weapon, your training partners and yourself. There is limited loan gear available (including swords and masks) for new recruits, though we encourage the acquisition and maintenance of your own kit sooner rather than later. 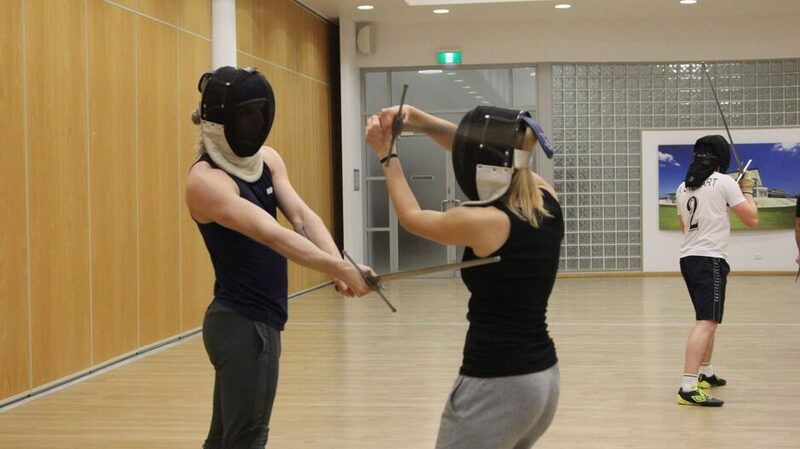 Not only does it tend to work better for you and allow you to train outside of scheduled sessions, it also helps you avoid using the dreaded communal masks! 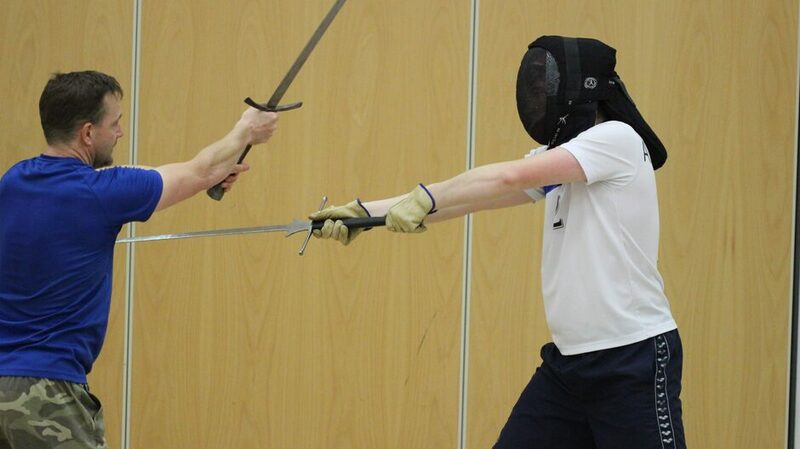 At the end of each quarter we hold a tournament that allows our members to apply what they've learned and demonstrate their skills - testing their mettle against their colleagues. 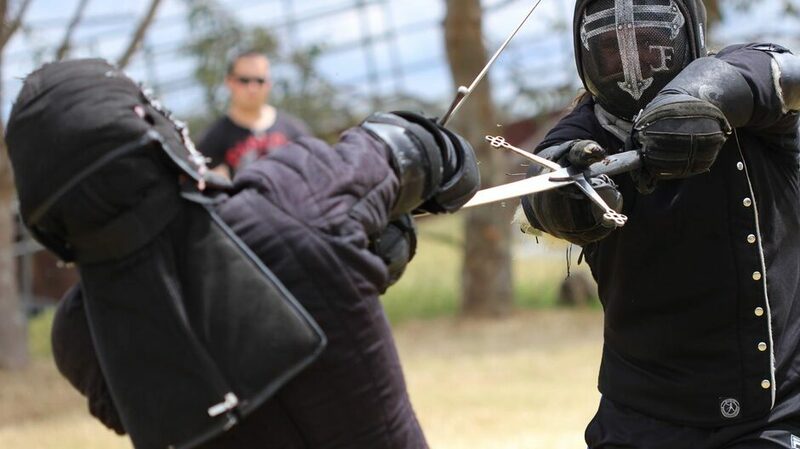 We also host and attend larger tournaments and swordplay/HEMA gatherings throughout the year, though the majority of these happen outside of WA, along the east coast or overseas. 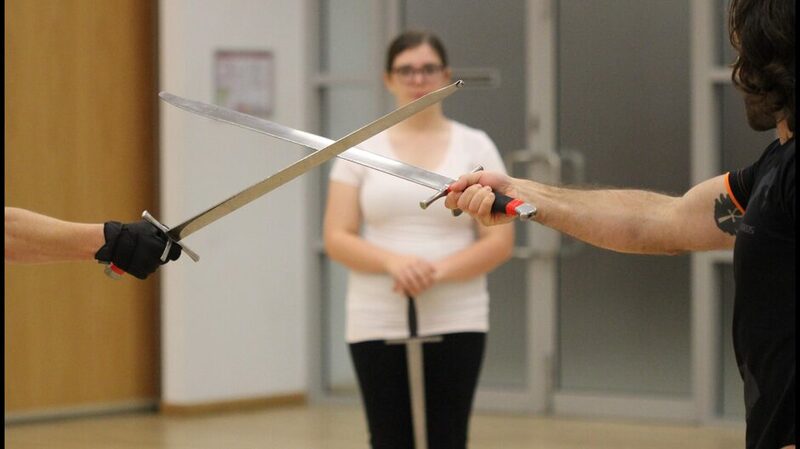 The longsword is our primary weapon at Darksun, and is arguably the most popular weapon in HEMA despite its relatively brief time in the historical spotlight. 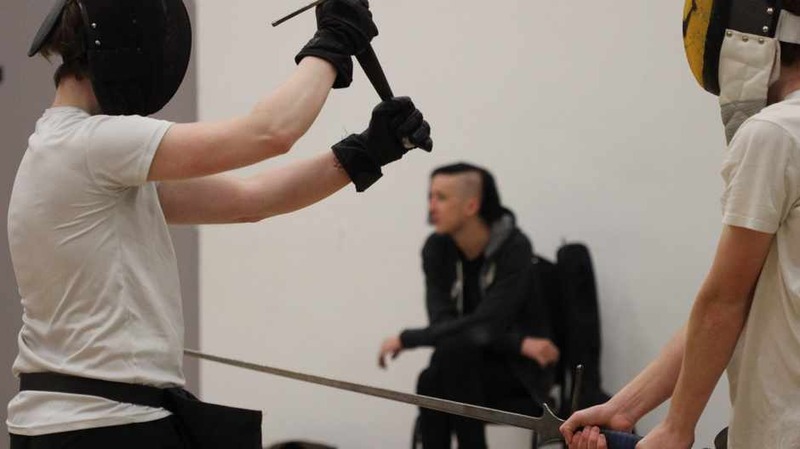 Weighted and balanced to be equally devastating in one or two hands, the longsword and combat with it varied and evolved over the centuries and traditions of use. 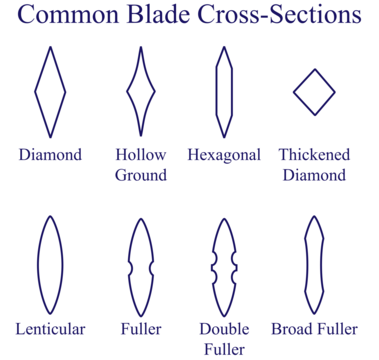 While hilt lengths, quillion shapes, pommel shapes, blade lengths, and blade cross-sections varied greatly, the basic design was a simple - a straight, double edged blade, cruciform crossguard and hilt big enough for two hands. Historical examples range from 100cm-130cm in length and 1100g to 1800g - far lighter than Hollywood would have us believe. In something of a medieval & renaissance arms race, as armour type changed, so did sword blade design. When only having to contend with basic cloth or leather armour, blades were wide and thin to make them effective cutting blades. As chain and plate armour began to arrive on the scene and cutting was less effective, blades became thicker and stiffer, with an acute point that made for lethal thrusts through chainmaille and into the gaps in more rigid armour. 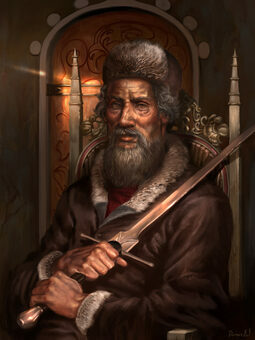 The blade wasn’t the only deadly part of the sword though; a competent fighter could use the quillions to punch and hook their opponent, or hold the sword by the blade and strike with the pommel in a movement called the mordschlag (or murder-strike), compromising armour and crushing bones with devastating effect. 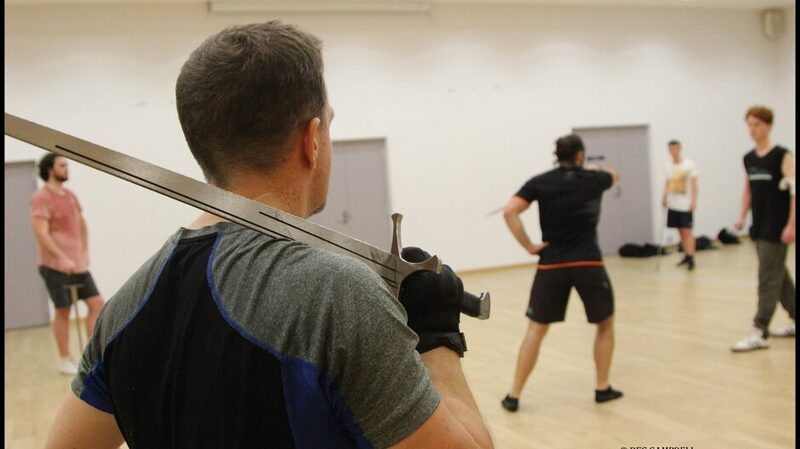 While the longsword was used in many cultures throughout Europe, the German tradition of longsword play is one of the best documented and understood, and as such forms the majority of our curriculum at Darksun. 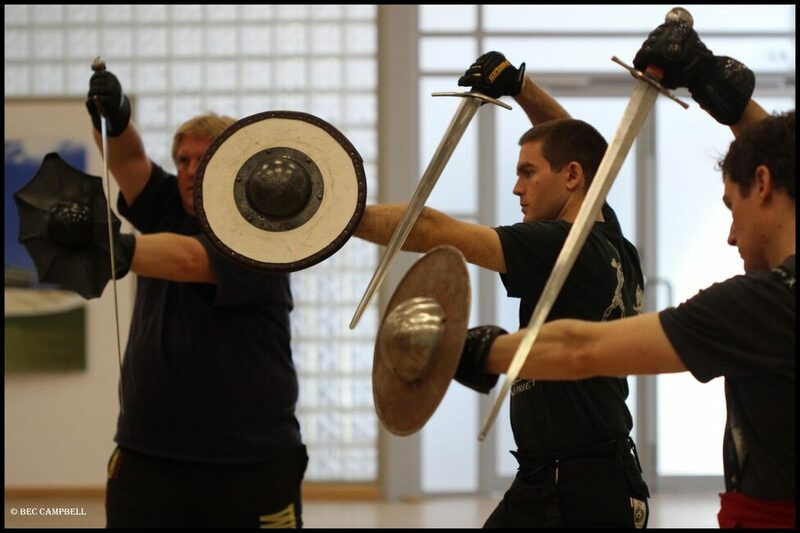 Attributed to the master of combat, Johannes Liechtenauer, and glossed & expanded by a number of contemporaries and later fencing masters, the German tradition of martial art is comprehensive and holistic, and is recorded in several manuscripts. We work primarily from early German sources, including Sigmund Ringeck, Hans Dobringer, Paulus Hector Mair, Paulus Kal and Danzig. 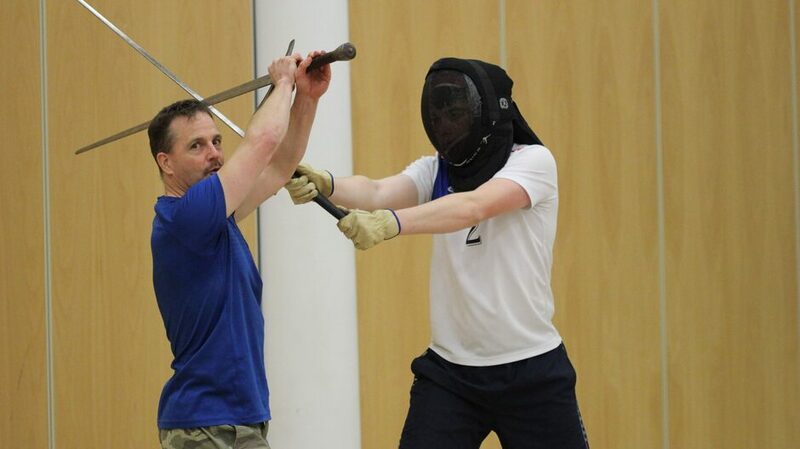 To add context and fill some gaps, we also look at the works of Joachim Meyer, a later German fencing master and Fiore dei Liberi, an Italian master of combat. Carried historically by most as a sidearm and tool, the medieval dagger was longer than what what we tend to think of when imagining a dagger today. 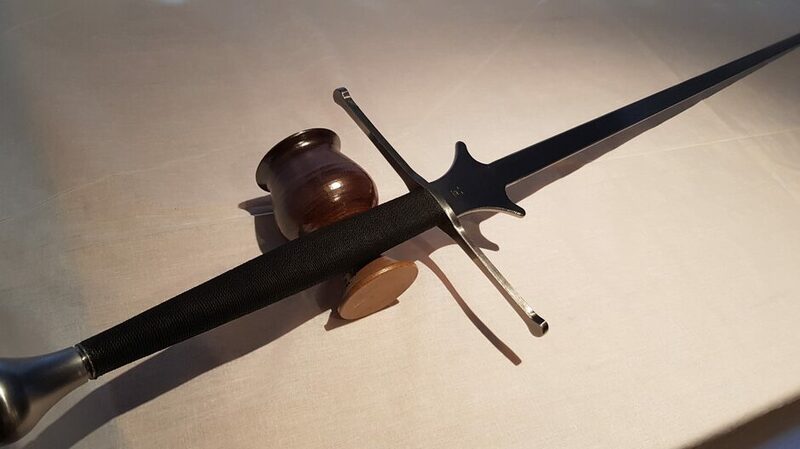 Primarily made for thrusting though still capable of cutting, the dagger was often used for hooking and trapping to immobilise or injure your opponent before being used to finish them off. 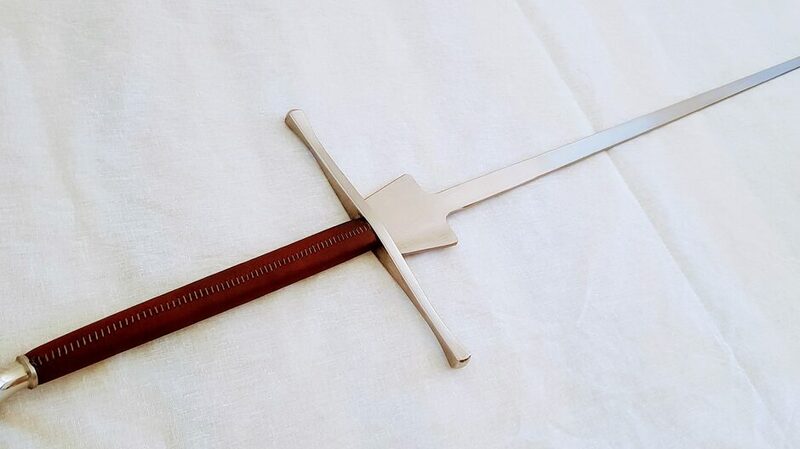 Dagger design varied greatly from complex and ornate to simple and utilitarian, and were sometimes used in conjunction with another weapon, such as a messer or rapier. 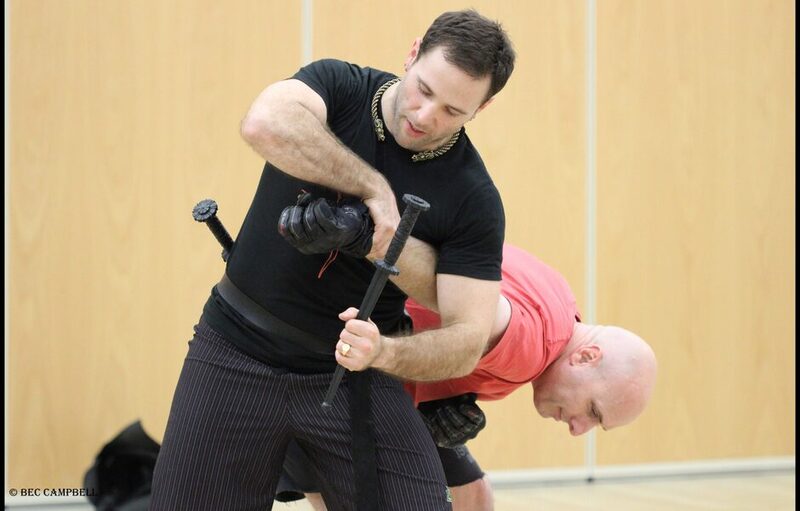 At Darksun we focus mostly on the work of Fiore dei Liberi for our dagger content, as recorded in his text Il Fior di battaglia, or "The Flower of Battle" - widely regarded as one of the most complete and effective systems under the HEMA umbrella. 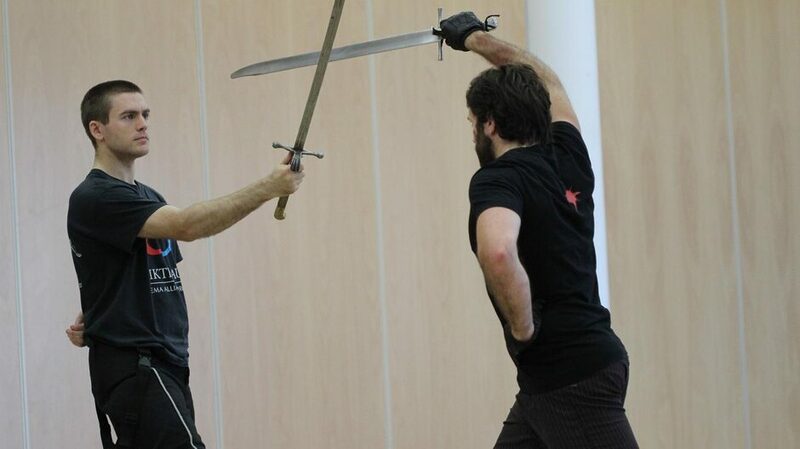 Fiore uses the dagger as a complimentary extension of the body, building on his grappling techniques to yield an efficient system of historical dagger combat, effective both in and out of armour. To flesh this out and add a little variety we add a smattering of historical German dagger combat and modern knife fighting. 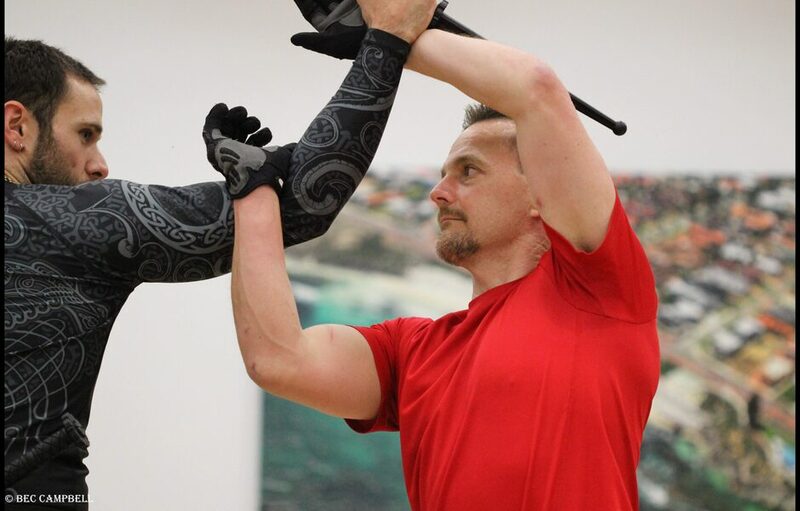 The iconic duo of the sword and buckler was used through almost the entirety of HEMA's timeline, with the earliest known manuscript, the I.33 manuscript containing instruction on the use of the arming sword and buckler. While being more prevalent in the earlier periods, this effective pairing persisted across time and space, being prevalent in German, Italian and English systems. The buckler was a compact and versatile defensive option that could be easily carried and wielded by commoner and noble alike, and complimented all one handed swords, regardless of whether they had a simple or complex hilt construction. We draw from a variety of sources in order to create well rounded fighters, but our syllabus consists primarily of the work of Andre Lignitzer, Hans Talhoffer and the I.33 manuscript. 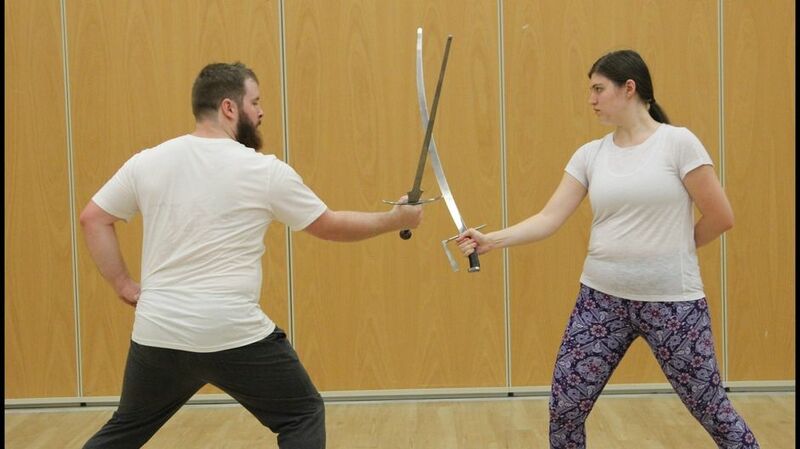 There's a huge variety of one handed swords around - from the classic knightly arming sword to the brutal, efficient messer and the elegant sabre each is unique, though all have a measure of similarity. 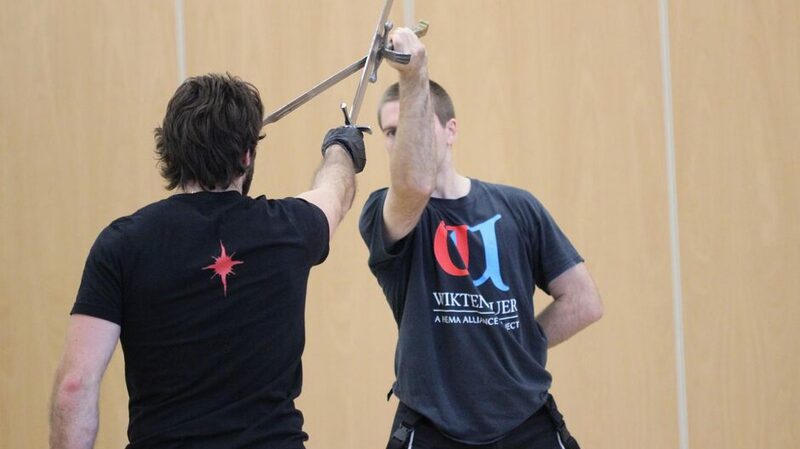 With some made primarily for cutting, others primarily for thrusting and a fair number equally effective at both, systems of one handed sword combat have about as much overlap as they do uniqueness. 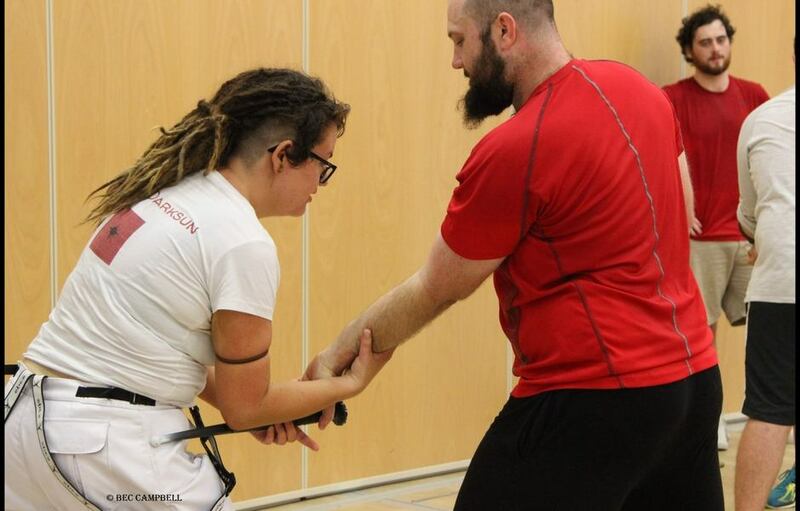 Our sword in one hand syllabus combines techniques for a number of one handed swords, including the German messer, the Italian 'sword in one hand' English sabre and Highland broadsword - pulling out the best parts of each style and merging them into an effective body of knowledge.